William Bouguereau: Zenobia Discovered by Shepherds on the Banks of the Araxes (1850) | Vivat! Crescat! Floreat! 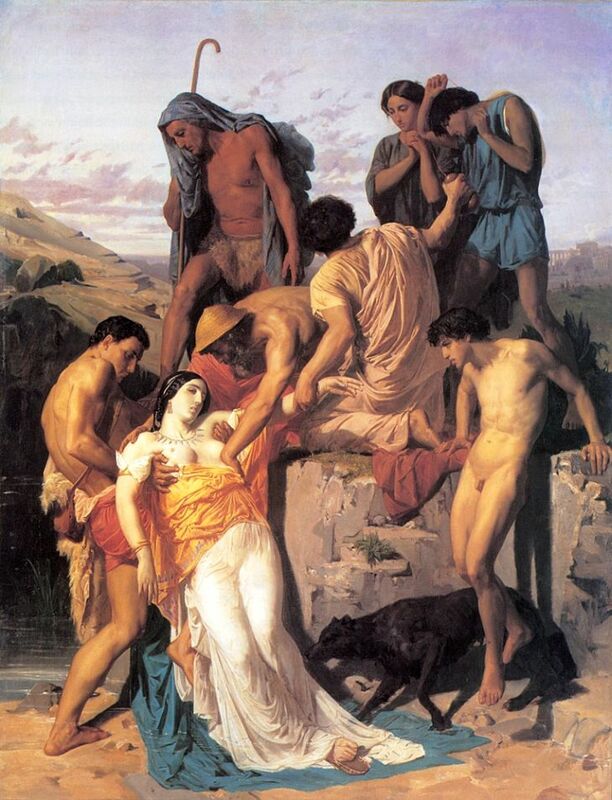 In 1850, the subject for the Prix de Rome was Zenobia Discovered by Shepherds on the Banks of the Araxes. There were two winners, Paul Baudry and William Bouguereau, whose entry you see above. For Bouguereau, it was already the third attempt to win this coveted prize. It marked the begin of his career: No older paintings of his seem to have survive, and from the same year, there are only a few portraits of members of his family, and the somewhat bizarre Dante and Virgil in Hell. The story of Rhadamistus and Zenobia is found in the Annals of Tacitus.